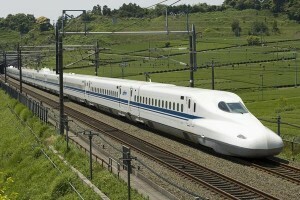 The Houston BizBlog writes about the proposed high speed rail between Houston and Dallas. It mentions the concerns of a couple of Neighborhoods it might go through. Garden Oaks and Independence Heights were mentioned. The Texas Central Railway project is having community meetings in the Houston. NIMBY (Not in My Back Yard) concerns by several neighborhoods are bringing attention to multiple alternative routes and location of the terminus. Public comments are being solicited by FRA and TxDot until Jan. 9. The two routes being studied have the train coming down either U.S. Highway 290 or the BNSF railway that runs near U.S. Highway 249. The 290 route brings the train along Washington Avenue into downtown Houston, while the 249 route brings the train along 34th Street before coming into downtown Houston along Hardy Street. Why the obvious route down I-45 is not being considered, I don’t know. Get more details in link above or the Rail Rail Website/Impact Statement.